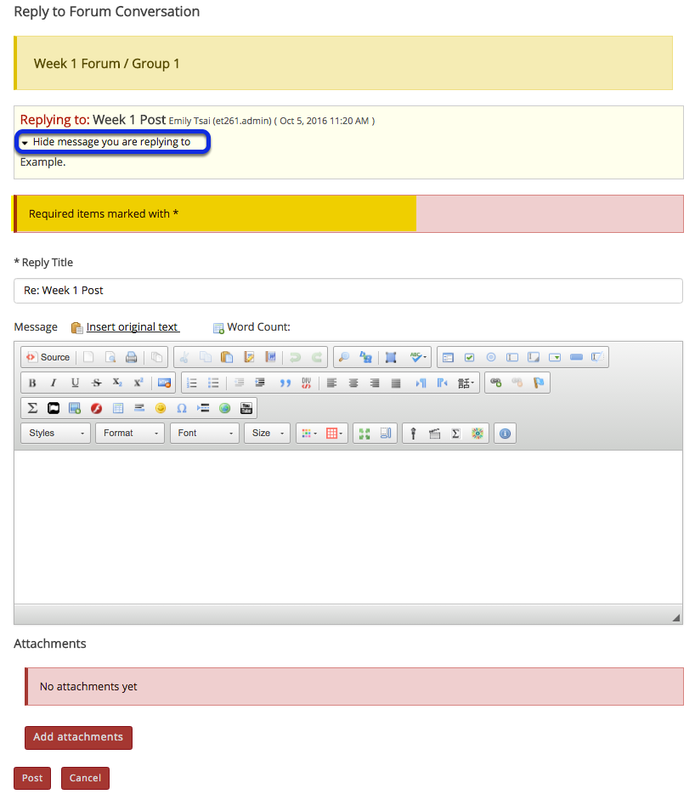 Instructor User Guide ForumsHow do I reply to a forum post (i.e. conversation)? The title will be taken from the initial message and pre-filled for you, but you may modify it if you wish.